An all over finished point with straight base and midian ridge on both sides. All over collateral flaking with fine pressure flaking and serrations. 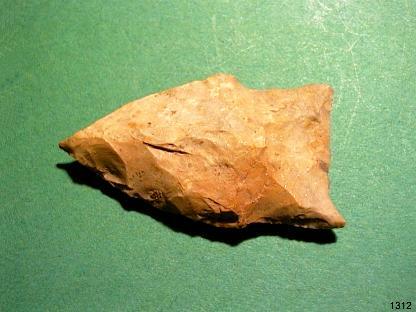 The tip is rounded off prehistorically but still sharp. In the tip area the artifact is slightly buckled. 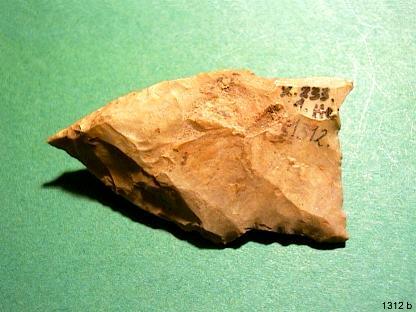 Nice Point Typ "AGATE BASIN"* made of Mill Creek Chert, ivory coloured till slightly pinkish. TRANSITIONAL PALEO to EARLY ARCHAIC, 9500-8000 B.P. 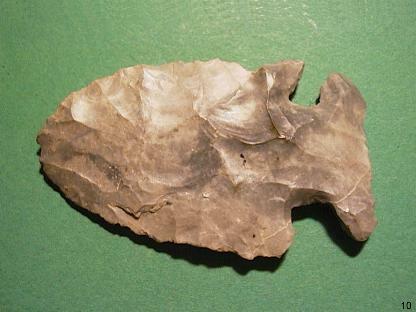 Scarce Paleo Knife, Typ "SQUARE KNIFE" made of Fort Payne Chert, gray-blue with yellow spots. 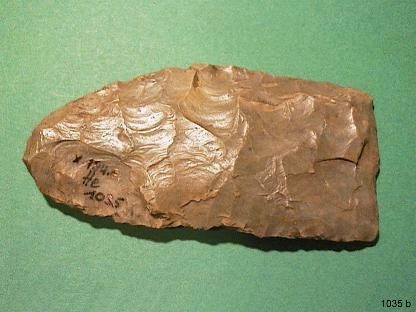 LATE PALEO to EARLY ARCHAIC, 10 000-8000 B.P. Paleo Point Typ "LLANO" made of Agate, slightly transparent. 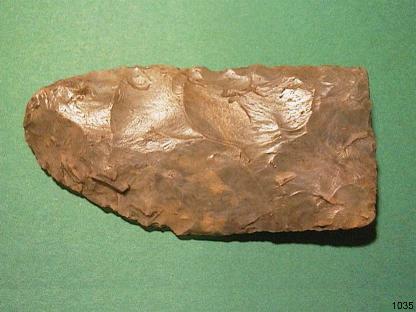 LATE PALEO to EARLY ARCHAIC, 10 000-7000 B.P. 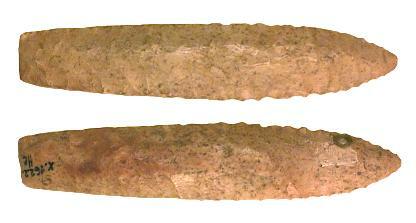 Paleo Knife Typ "THEBES" made of Silex, blue-white patinated. Artifact twisted. 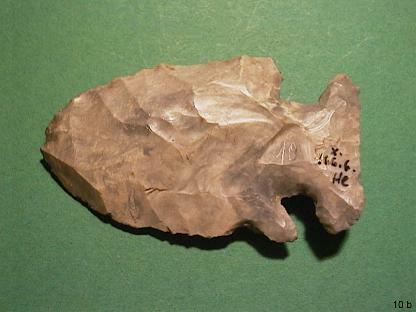 Point Typ "PELICAN" made of Mill Creek Chert, beige, gray-brown. Needle Point. 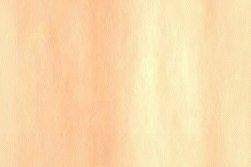 TRANSITIONAL PALEO, 10 000-6000 B.P.